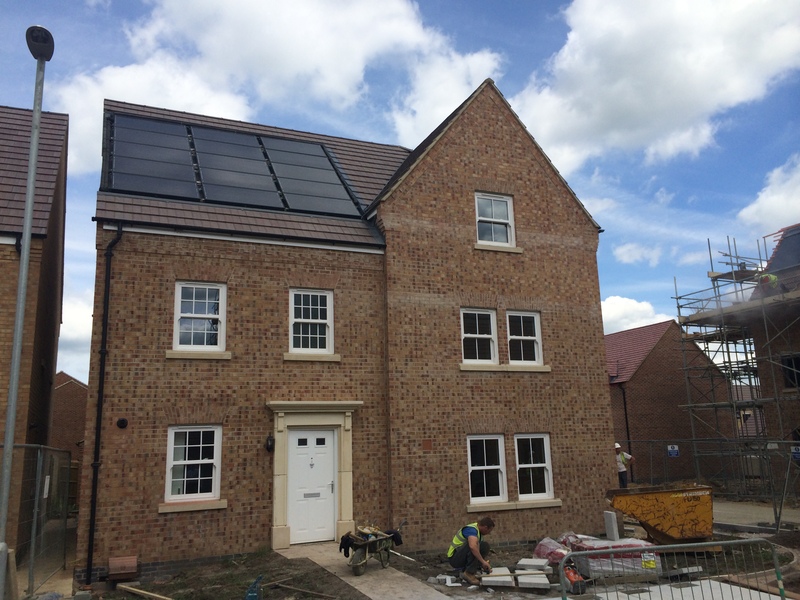 "The first commercial house builder offering carbon neutral housing"
Securing low home energy bills might start with thorough insulation and harnessing high efficiency heating and lighting... but why stop there when energy bills could be zero? 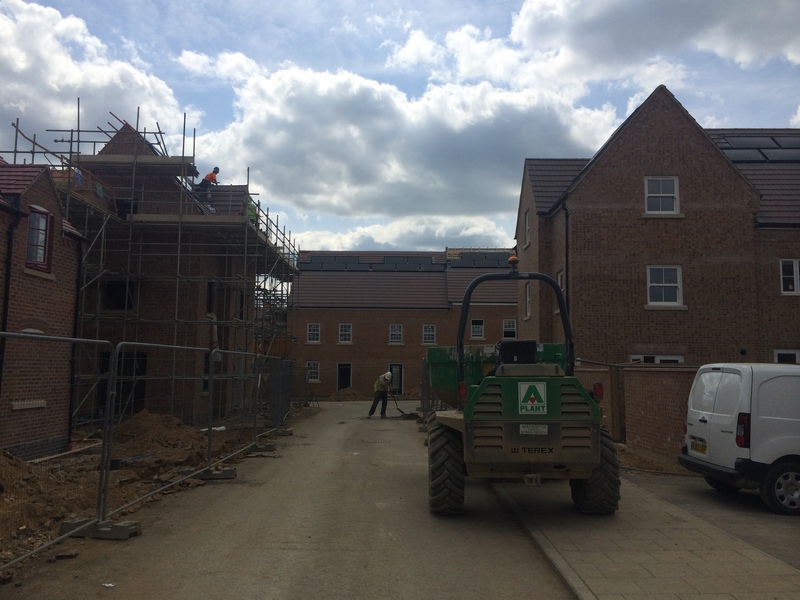 That was the vision of Carbon Free Group member Electric Corby, and they've started down that road by creating the first "Zero Energy Bill" (ZEB) homes at Priors Hall Park, Corby. The logic is undeniable. According to the latest Government figures, improving energy efficiency could increase a house's value by anything from £16,000 upwards for smaller homes alone. That returns the capital investment immediately, with annual fuel savings for years to come. But at Corby, they have gone even further. By developing a series of new homes that look like a traditional semi-detached house; but beneath the surface, contain well insulated walls and lofts, complete with an array of hybrid PVT (Photovoltaic) panels. Each panel has a single solar collector which produces electricity, heating and domestic hot water. These are ultra low maintenance and unlike wind turbines, are virtually "fit and forget". What's more, all the "workings" are hidden in the roof space. In addition, each home has a state-of-the-art home energy automation system which is remotely programmable. The PVT panels are also connected to the electricity grid to achieve maximum payback from the Feed-in Tariff on every unneeded kilowatt of energy. When we started developing this project, average home energy bills were around £1,000 per annum. The latest figures suggest this is over £1,300 now and will hit £1,500 with the latest energy price rises. 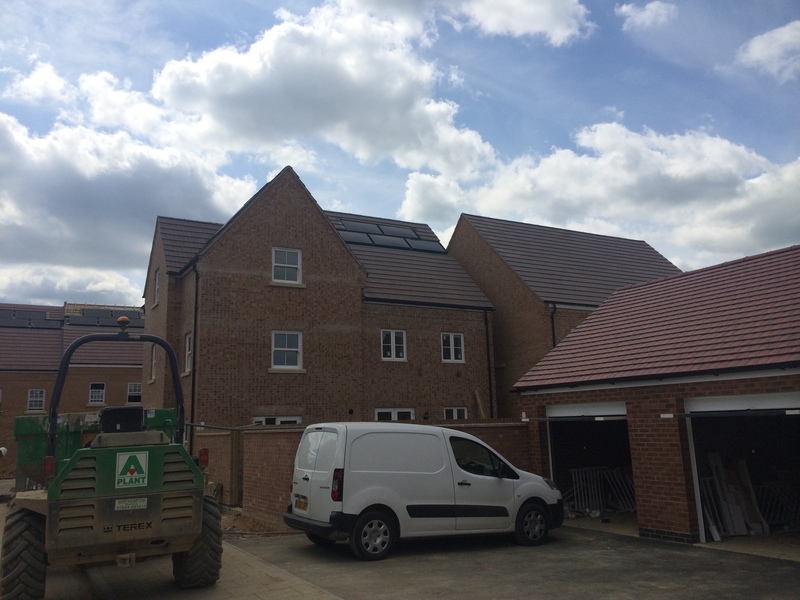 With the ZEB homes the average occupier will see a net energy bill for the year of between minus £20 and plus £50... but Electric Corby guaranteeing zero bills for the first two years. Over the months and years ahead we'll be developing this platform - and looking to collaborate with developers, designers, funders and housing providers to bring our Zero Energy Bill vision to life for as many Corby residents as possible. 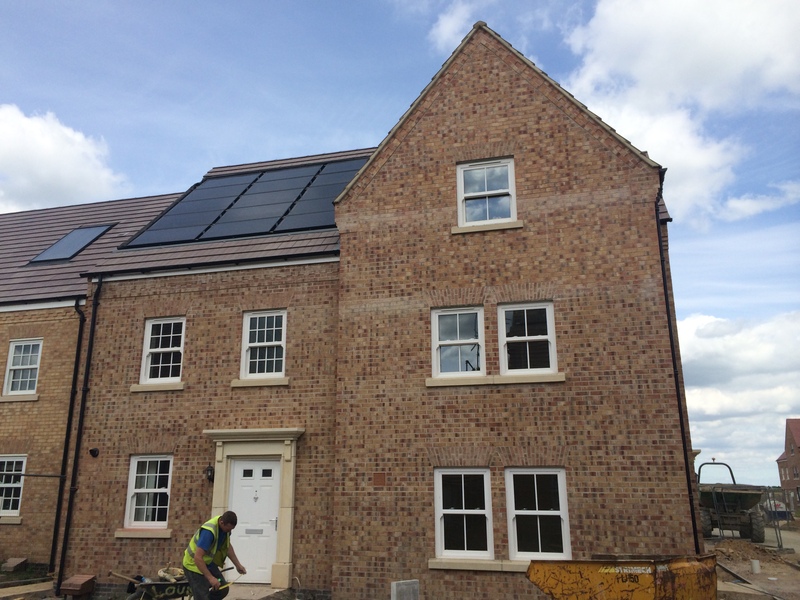 The Carbon Free Group is now expanding upon the success of the first ZEB development of 10 houses and its members have joined forces through the Carbon Free Housing to develop and deliver a further 50 homes. 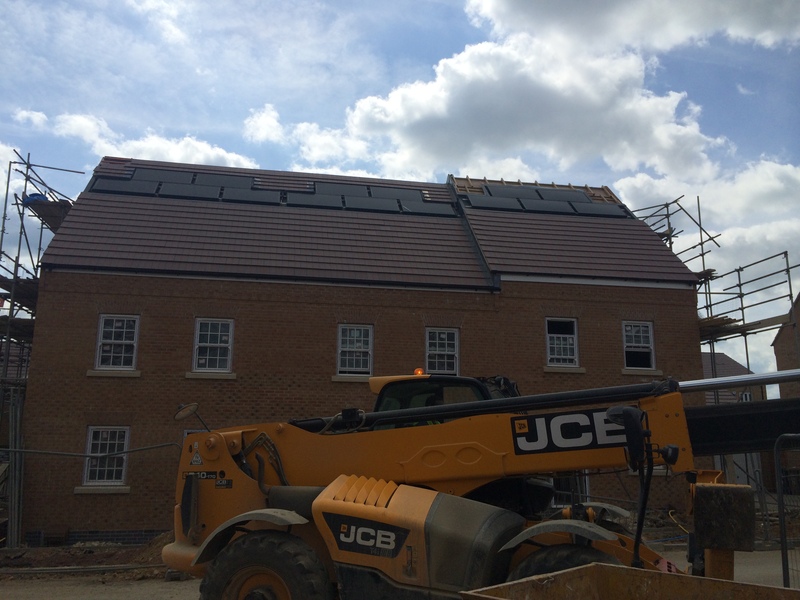 We believe this will be the first commercial house builder in the UK specifically set up to deliver carbon neutral housing!